Alpha-lipoic acid and conjugated linoleic acid share a few things in common, most notably the fact that they're both fatty acids. They both impact blood sugar control in people with diabetes, but only one of them -- conjugated linoleic acid -- may make it difficult to keep blood sugar balanced. For the most part, they each fill varied roles and offer different benefits. Linoleic acid is an essential omega-6 fatty acid that regulates cellular activity. When bacteria in the digestive tract encounter linoleic acid, which comes from vegetable oil, nuts and seeds, they convert it into its conjugated forms. CLA is naturally found in dairy products and beef, but only in small amounts, so taking 3 to 5 grams daily through supplements is the best source, notes NYU Langone Medical Center. Preliminary research shows conjugated linoleic acid may inhibit the growth of cancer cells, but at present, it's primarily used as a weight-loss supplement. It has effectively reduced weight in studies using animals, but research with people has produced mixed results. After reviewing the results of 18 studies, researchers from the University of Wisconsin concluded that taking 3.2 grams of CLA daily resulted in the loss of a modest amount of fat, according to a report in the May 2007 issue of the "American Journal of Clinical Nutrition." Alpha-lipoic acid is a fatty acid and an antioxidant. It's found inside every cell in your body, where it's essential for turning glucose into energy. Alpha-lipoic acid is often confused with alpha-linolenic acid -- an omega-3 fatty acid -- because they sound similar and both use the abbreviation ALA. If you're healthy, your body makes all the alpha-lipoic acid you need. 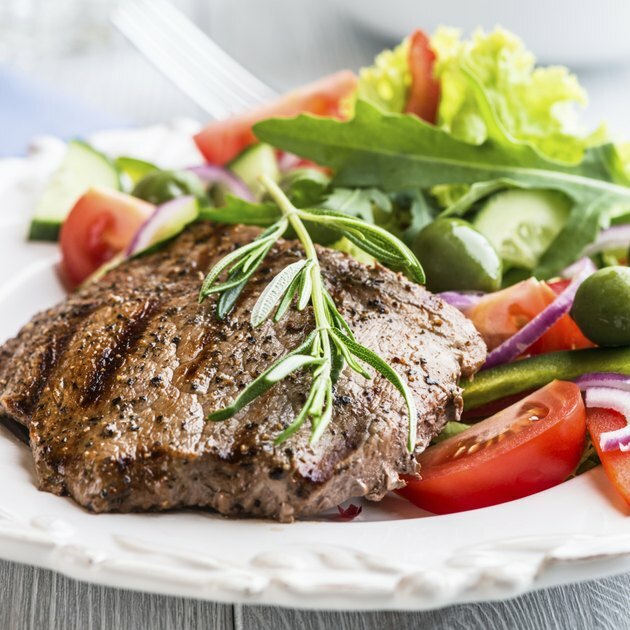 While it's found in some foods, such as red meat and liver, dietary sources do not boost blood levels, according to the Linus Pauling Institute. By comparison, supplements taken on an empty stomach do increase levels of ALA.
Nerve damage caused by diabetes, called diabetic neuropathy, is treated with alpha-lipoic acid. Taking 600 milligrams of ALA daily for five weeks significantly relieved pain in patients with diabetic neuropathy, according to a study in the November 2006 issue of "Diabetes Care." When administered intravenously, alpha-lipoic acid also improved nerve function, noted a review in the "European Journal of Endocrinology" in October 2012. Studies cited on the Linus Pauling Institute website indicate that alpha-lipoic acid may improve insulin sensitivity in patients with Type 2 diabetes, but more research is needed to determine its effectiveness. Do not take conjugated linoleic acid if you're prediabetic or diagnosed with diabetes because it may worsen blood sugar control and interfere with the insulin response, according to NYU Langone Medical Center. No significant side effects have been reported to date for dosages of lipoic acid up to 1,800 milligrams daily. Columbia University, Go Ask Alice: Conjugated Linoleic Acid (CLA) and Weight Loss? Should Alpha Lipoic Acid Be Taken With Food or on a Empty Stomach?